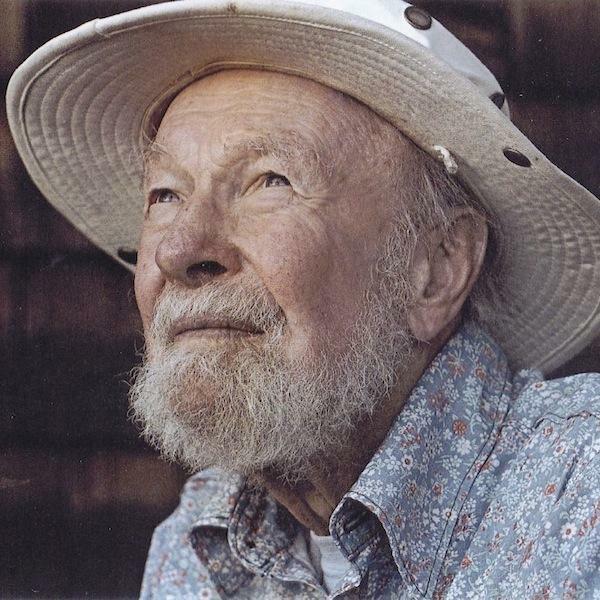 The singer, songwriter, political and labor activist, environmentalist and champion and revivalist of America’s folk music died of natural causes on January 27, at age 94. The film incorporates a wealth of researched photos and archival footage of Seeger’s life and times, as well as reflections from Pete, his family members, folk historians and musicians with names like Dylan, Springsteen, Guthrie, Baez, Paxton and Smothers. Tommy Smothers provides an especial reminder of how important “The Smothers Brothers Comedy Hour” was in shining a light on hot button issues and demanding that Seeger deserved airtime despite his 17-year ban from broadcast TV. And, of course, the film is resplendent with music, the music that Seeger wrote, adapted and/or saved from oblivion, music that defines the passion of the man and the history of the nation that he loved. 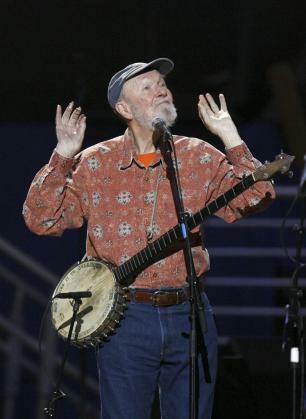 Seeger’s driving mission was his belief that music (most especially folk music that drew from our nation’s labor, political and ethnic roots) could draw and bind people together of all ages, races and nationalities to end war, clean up the environment and eliminate inequality, causes that he knew would benefit our communities, our nation and our planet in the long run. The son of a concert violinist and musicologist, Seeger raised his voice and his weapon of choice–the banjo–during the pre-WWII labor movement, the Communist witch hunts of the 1950s, and the Civil Rights’ and anti-war movements of the 1960s and 1970s. He marshalled through tough periods that saw him blacklisted (despite his service during WWII) by HUAC, a tragic setback that derailed his popular chart-topping group, The Weavers, and a lucrative career on broadcast TV. But he never stopped travelling the country and entreating crowds–he especially loved audiences of children and college students–to sing along. The visionary, a lifelong non-drinker and non-smoker, lived long enough to see the seeds of his life’s work bloom. In 1994, he was awarded the National Medal of Arts and a Kennedy Center Honor (clips from these events are replayed in this film); he was inducted into the Rock and Roll Hall of Fame in 1996; his numerous Grammy Awards include a Lifetime Achievement nod in 1993 and Grammys for his albums and songs as recently as 2009 and 2011; and he sang at the inauguration of Barack Obama, the first African-American President. And, most especially, despite the early naysayers and against almost impossible odds, he relished the clean-up of the once toxic Hudson River thanks to the work of his Clearwater initiative. I defy anyone who cares about the man, his music and his message to watch the last 10 minutes of Pete Seeger: The Power of Song with a dry eye. I was blown away by director Jim Brown‘s earlier film, The Weavers: Wasn’t That a Time (1982), which won top honors at the American Film Festival when I was on staff. And, most recently, as the director of The Christopher Awards, I was thrilled to celebrate Jim Brown and Pete’s family when we honored American Masters–Pete Seeger: The Power of Song, with a Christopher Award during our 60th anniversary gala in New York on April 16, 2009. My only regret that night was that Pete was unable to join us in person as he was called away at the last minute to care for his devoted wife, Toshi, who was ailing. Toshi passed away in July 2013, just days before their 70th anniversary. This entry was posted in Film, TV and tagged American Masters, Christopher Awards, Environmentalism, Folk Music, HUAC, Hudson River Sloop Clearwater, Jim Brown, Music and Musicians, Pete Seeger, Pete Seeger: The Power of Song, Political Activism, Smothers Brothers Comedy Hour, Social Issues, The Weavers. Bookmark the permalink. I thought you’d be writing about this program. It is indeed a great documentary. I remember being blown away by Pete singing “Waist Deep in the Big Muddy” on a television broadcast (I think) during the Vietnam War. It’s the only time I’ve ever seen him really angry while singing a song. And as your assistant at the Christopher Awards (those were the days), I had a terrific conversation with Jim Brown after the ceremony, and told him how we’d tried our hardest to give his show an award in the feature film category the year before when it had had a theatrical run, but powers-that-be at the Christophers were fearful of political blowback from donars if we did. So it was really great to be able to do it the next year when one of those “powers” was no longer there. I’ve DVR’d the program and look forward to watching it soon. I’m sure it will have even greater resonance now that Pete is no longer with us.